4 Yanki Sizzlers – Smoky hot sizzlers veg and non-veg. Ahmedabad is a city known for its authenticity. 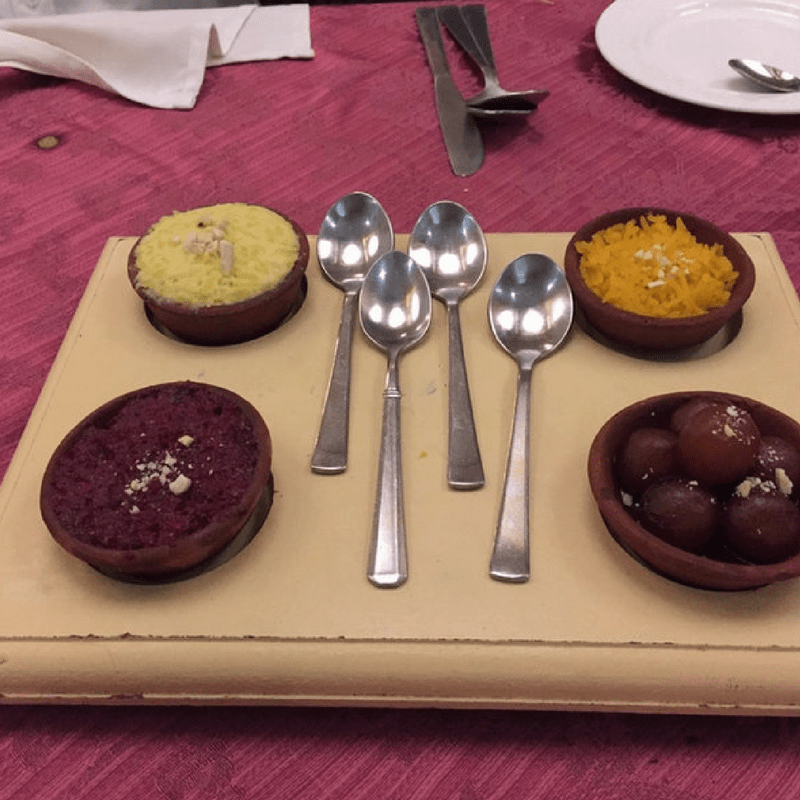 The food aroma and the flavours are what the Gujaratis are fond of. But being a metropolitan city, it holds a population of many diverse people who are fond of different kinds of food. Even though the majority of people here are vegetarians, there stands a crowd in the city who are in love with non veg food. Chicken, mutton, prawn brings water to their mouth! Are you one of those who is fond of non veg and can’t decide on a restaurant to go for in Ahmedabad? 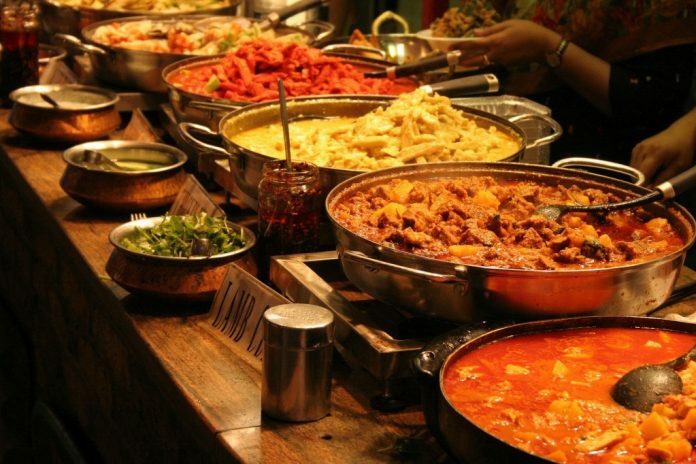 Not to worry, we have a list of 12 amazing non veg restaurants based on their diversity, uniqueness, and popularity curated just for all of you non veg lovers. La Bella is run solely by Mrs. Mary Lobo Aunty after the death of her husband. She is goan by heart turned Amdavadi. The place is not fancy or glamorous like other restaurants, but the charm of this place is its food with the rates so low you can’t even imagine. Non veg dishes like chicken masala with minimal prize i.e. just RS. 40 & Prawn curry for RS. 30. The food here is far more worth than the prices it holds for the gaon taste. “I don’t need to burn a hole in anybody’s pocket, I earn enough to feed myself,” says aunty Mary. The customers here are mostly students. The 90’s actress Parveen Babi even visited this place. Bhatiyar Gali, also known as “Khass bazar”, started during the rule of ‘Ahmed Shah’, is a street full of small stalls and mini-restaurants. It is popularly known for its unique and desi non-veg food like Mutton samosa, Mutton Kebab, Seekh kebab. When you go to Bhatiyar gali make sure you do not miss the ZK Restaurant and Bhatiyar Khana. ZK restaurant is one of the best places at Bhatiyar Gali, the ‘masalas’ are prepared by the cook Kalubhai himself. Also, they make amazing egg malpua which is been made there for the past 20 years & is available every day from evening 4 to morning 5. Another hangout point for the beautiful nights in Ahmedabad, right? 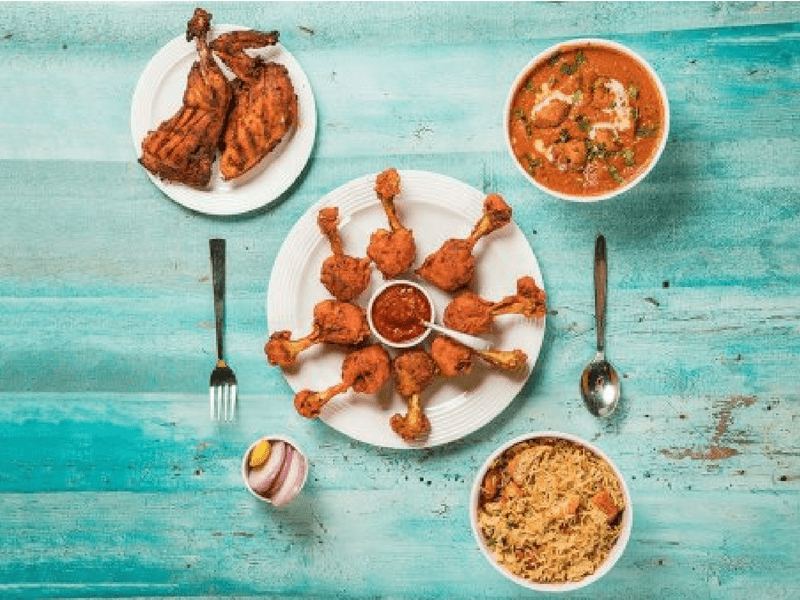 How can we not talk about barbeque nation when it comes to non-veg food? Initially started in Mumbai in the year 2006, BBQ nation has become the favourite place for foodies and across the whole country. It is one of the longest food chain restaurants. BBQ nation founded in 2008 in Ahmedabad and since then it has become a place of delightment for food lover especially for the people fond of non-veg. There are two outlets in Ahmedabad now, one is at Drive-in road and the other one at Prahlad Nagar. BBQ is famous for its live grill concept and the barbeques here are phenomenal. The buffet served here has endless food options along with many kinds of desserts. Yanki Sizzlers – Smoky hot sizzlers veg and non-veg. 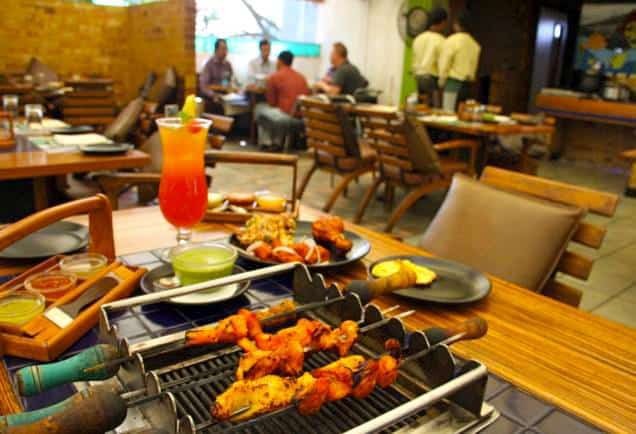 Yanki Sizzlers is one of the best places in Ahmedabad known for sizzlers. Sizzlers at Yanki’s are super delicious and fills you up completely. Yanki restaurant provides a happy treat of super delicious sizzlers for non-vegetarian customers. Fulfil your meat craving and enjoy sizzling hot and spicy sizzlers. 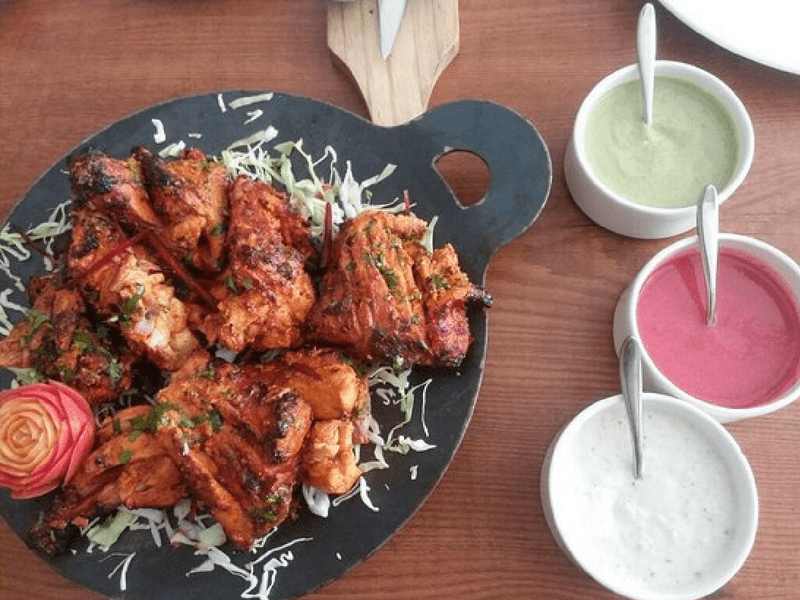 You can choose from your favourite meat choices such as chicken, mutton or prawn they have and a long list of sizzlers in their menu for each category. 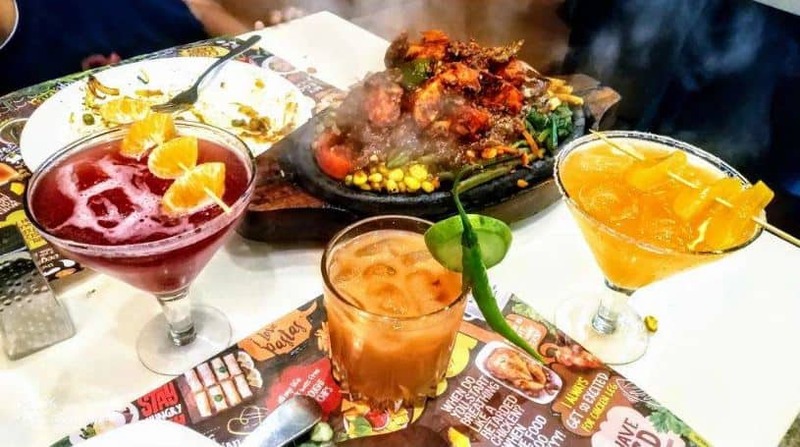 There are many other dishes to choose from their menu besides sizzlers; mocktails are one of them. They serve amazing mocktails and is perfect refreshment for afternoon and evening visit. Tomato’s, the place where you can find some extraordinary food and adequate quantity! The ambience of this place designed in Retro American theme which is something out of the glass and fascinating. It’s a paradise for non-veg food lovers. Along with Indian cuisines, they also have global cuisines which are super delicious and excellent in taste. Tomato’s has two more outlets in the city, m.a.d by tomato’s and the Trophy at YMCA. Each outlet has a unique theme, different ambience and great food. Best dishes: Grilled lemon pepper chicken breast, Mexican Non-Veg Pot. 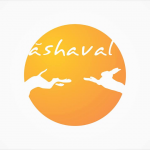 Dravida is a restaurant where you can find authentic south Indian dishes, and by that, I don’t mean only Dosas and idli but several foods from south both veg and non -veg. Dravida is one of the restaurants of ‘The Fern Hotel’ in Ahmedabad, it serves you cuisines of Tamil, Telangana, Karnataka, Kerala. 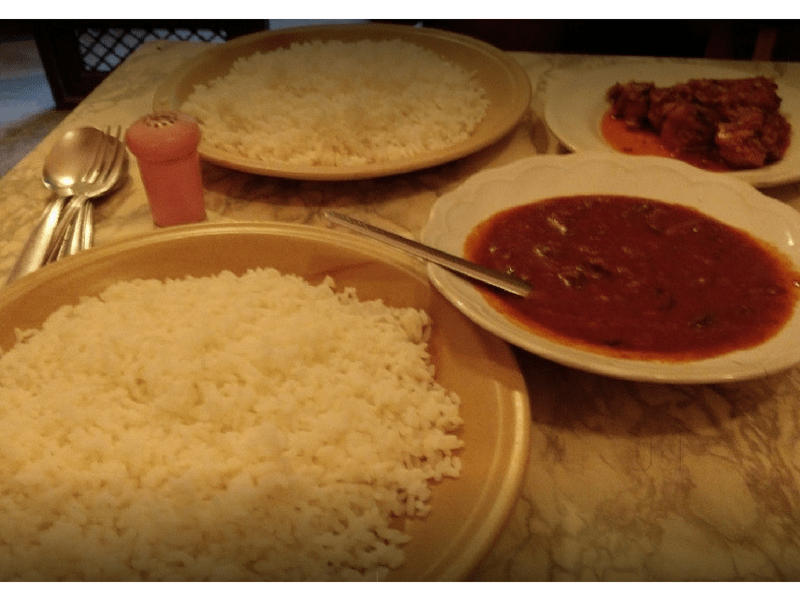 Dravida is famous for its enormous south Indian thalis. Non-veg food lovers most like the executive non-veg thali here. 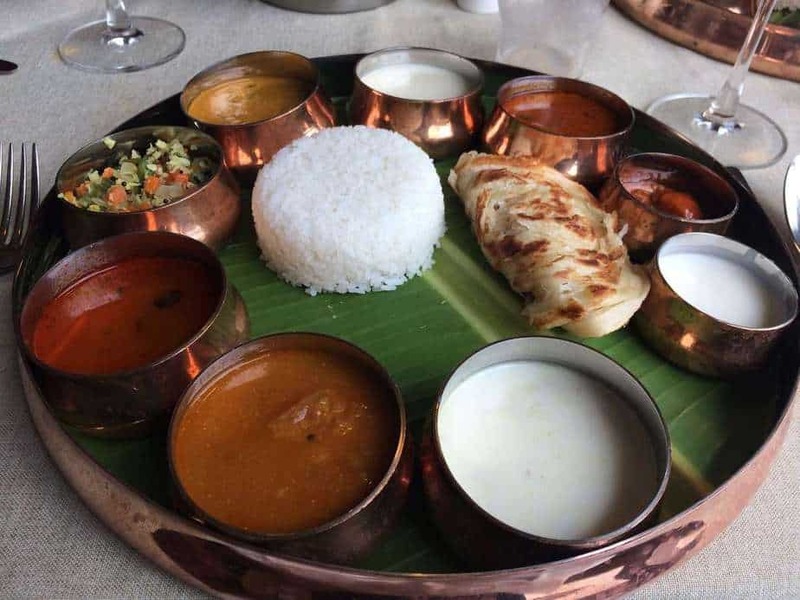 They serve you the non-veg thali in a huge plate with lots of varieties of south Indian veg and non- veg food like vegetable curry, mutton curry, chicken curry, veg stew, curd, salad, sambhar, payasam. All this is served along with Malabar paratha, Appam and Steam Rice and tadka chaas. 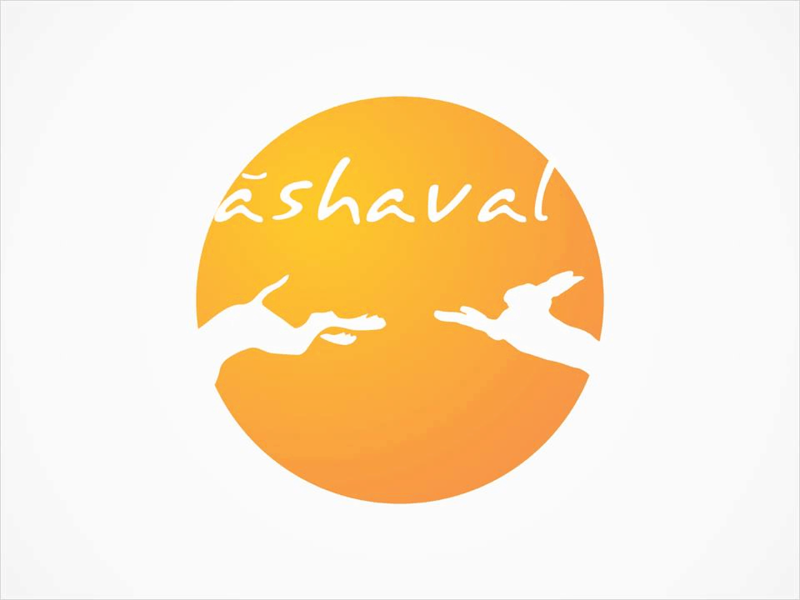 All non-veg dishes of Dravida showcases the taste of south India. along with chicken and meat dishes this restaurant also have delicious seafood dishes of prawn, lobster and crab meat. Want to try Pizzas that are offbeat but finger licking delicious at the same time? Fozzie’s is the place to be. 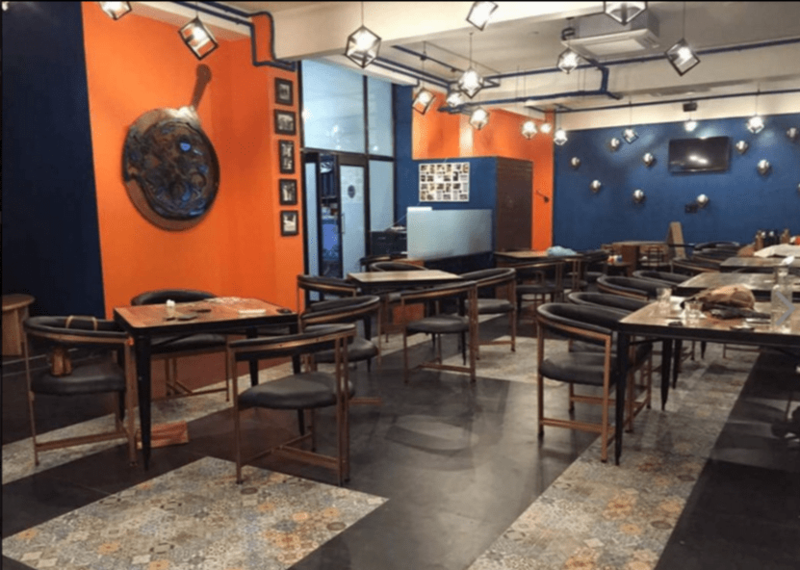 This restaurant serves lip-smacking Italian cuisine and has lots and lots of option available in both veg and non-veg pizzas. The chic hot, barbeque chicken and fatty nonsense pizza are must try if you are visiting this place for the first time. 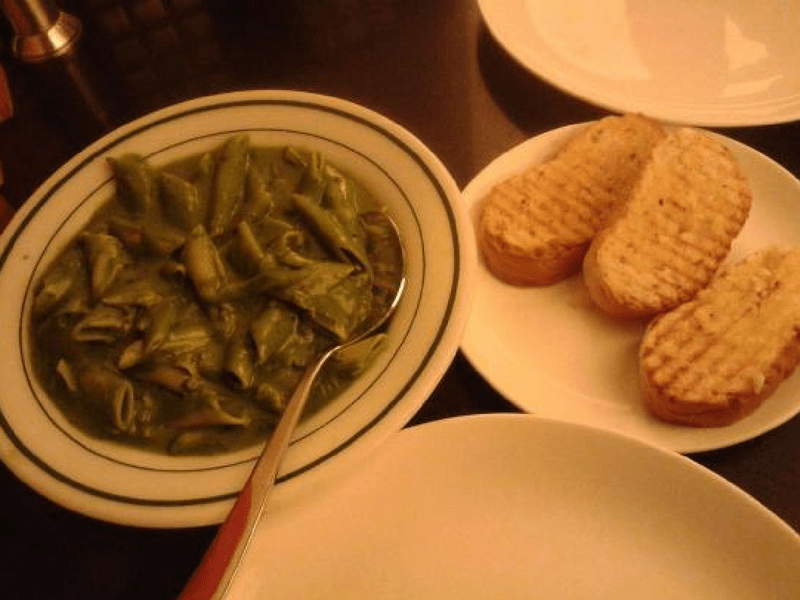 Upper crust is a cafe famous for its bakery, but the non-veg food is nonetheless. At upper crust, you get non-veg cuisine whose taste will take you all around the globe. Here you get starters, Indian and fusion, Chinese, Italian, Mexican, and Thai. Upper crust was started by Lester D’souza on 1st April 1989 at C.G road now has many outlets in the city, out of which two outlets are only for bakery, and the rest four has restaurants. Mainland China is solely a Chinese restaurant serving authentic Chinese food. This restaurant has Chinese statues of soldiers and much Chinese stuff even makes the look and feel of completes Mainland China in making it a Chinese restaurant. At Mainland China, there is food for all kinds of people who love Chinese. Along with non-vegetarian, there are lots of food options for Jains as well as vegetarian. This restaurant is well-known for several kinds of dumplings. 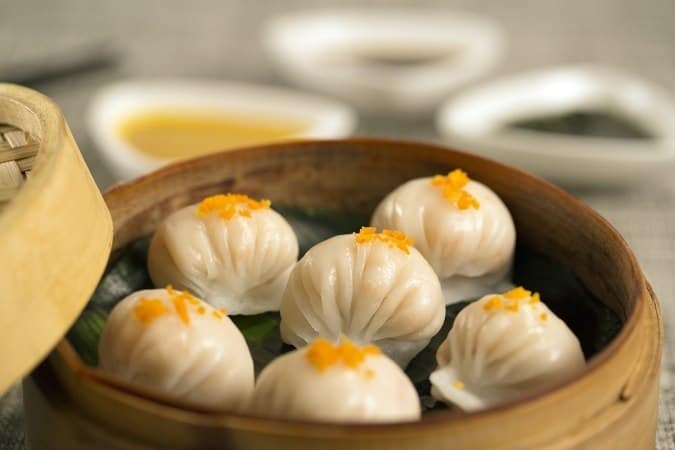 Chicken and prawn dumplings are best in non-vegetarian food. Along with these dumplings, the most enjoyable food for non-vegetarian is the jumbo prawns. Awadhpuri is known as a place of ‘Jashn-e-Zyka’ which means a place where food is the celebration. They are popularly known for their Lucknowi Nawabi food. Not only the food but the interior, the plates and the decor everything is designed in a way to make you feel royal. They even sometimes have live music and ghazals which serve as the cherry on the cake. Average cost: 1200 INR for two people. 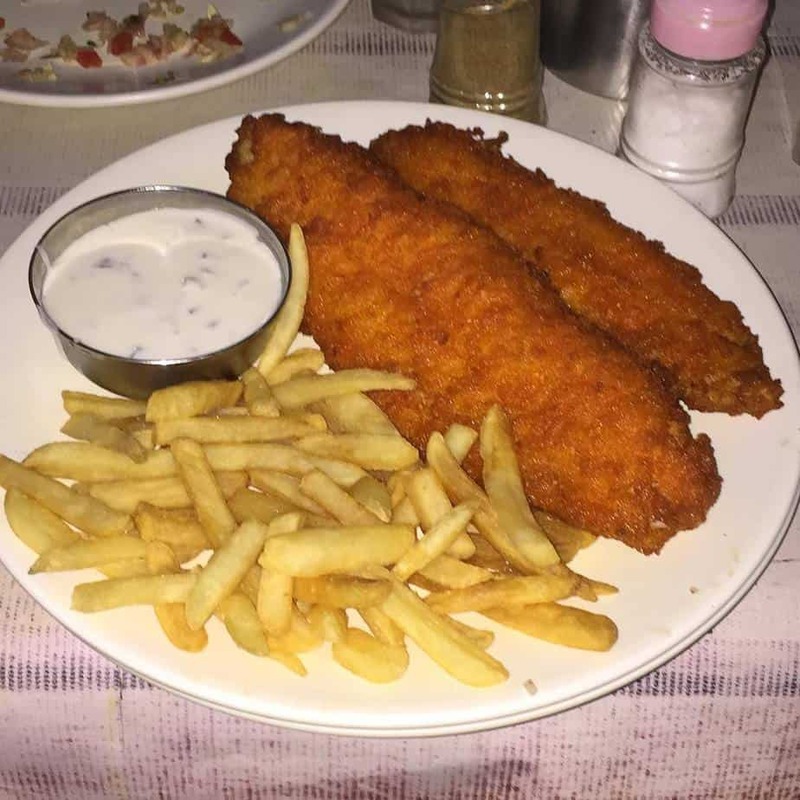 Masty is a place which should always be on your list when it comes to non veg food. 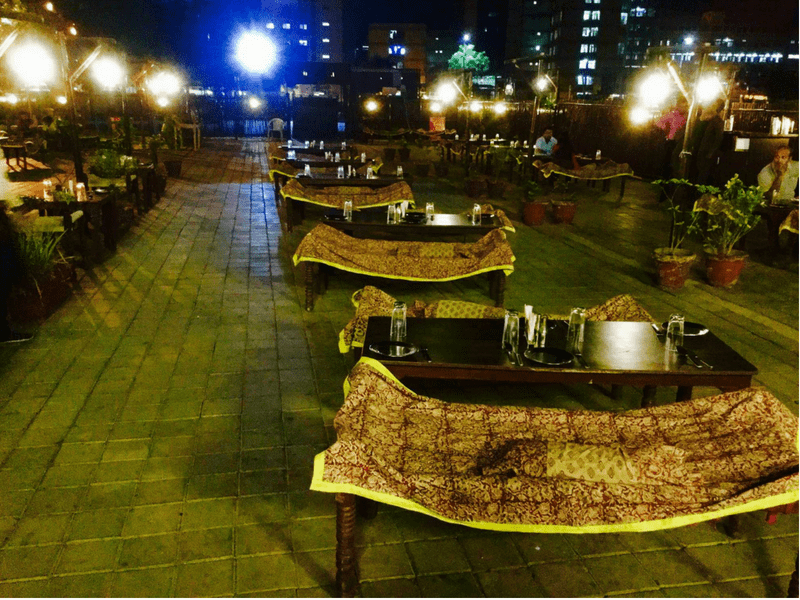 It is located near Karnavati club behind the dugout cafe, has a simple but large enough space with a beautiful outdoor seating arrangement. The menu here is not that huge, but the food taste is delicious, served fresh and hot to give you a homely vibe. The restaurant remains quite occupied especially on the weekends. Also, they do not take reservation and preserve the first come first serve policy. So if you are planning to visit this place on the weekend be there on time. Mirch Masala is a restaurant that serves you authentic Punjabi, North-Indian, Mughlai non veg. Along with food, the decor here is also pretty cool. It has a Bollywood theme with the walls painted of some scenes from the epic movies. 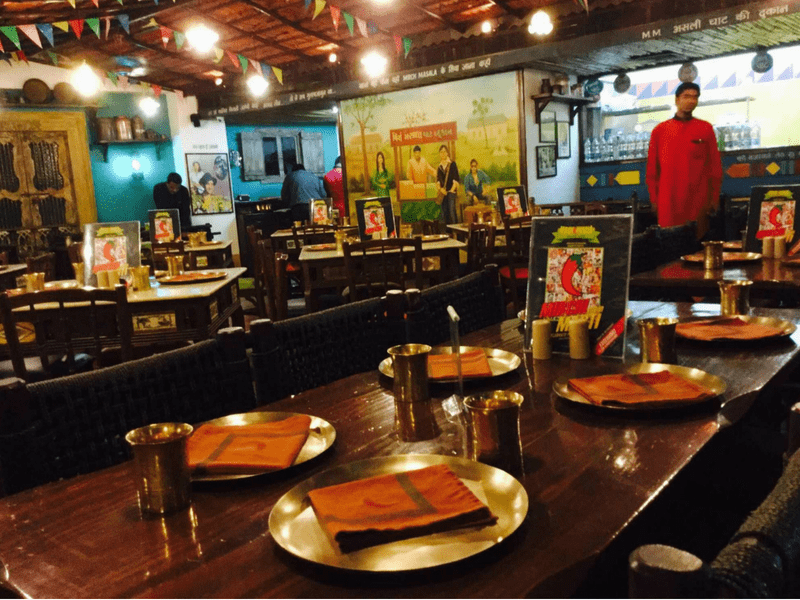 This place stands by its name to give you complete Dhaba feels with the seating arrangements of ‘khatiya’ and ‘angeethi. Along with that comes a nice ambience and live music on weekends. This place serves you with some delicious food with Punjabi taste. 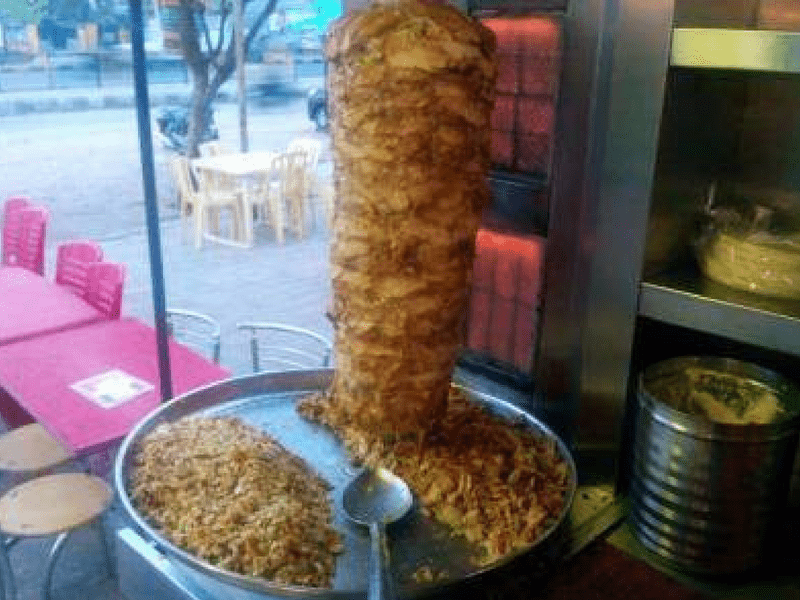 Magic chicken is famous for its Arabic dishes especially AL-Faham, a grilled chicken marinated with Arabic spices and vegetables and barbequed in charcoal grill or oven. The menu here may be limited, but they don’t compromise with the taste. Tandoorworkz is a place introduced after the success of their cafe sandwichworkz. Famously known for their non-veg tandoori, they also serve some fantastic curries of the South and North India. They claim that the food they serve is prepared with organic spices without any preservatives or food colouring. Simran farm was started as a small stall in 1994, selling chicken. It’s the taste of the non-veg food that made it so popular and well-known that it now has two outlets at airport road, Khanpur. At Simran farm, you will get an amazing blend of Indian and Mughlai in non-veg food. These are the 12 restaurants in Ahmedabad to overcome your cravings for delicious non-veg food. Do visit these restaurants and share your experiences. Also, if you have any suggestions for other places like these share them in the comment section below, we will surely try to add them up here with a mention.